Another day, another dreamy (literally) perfume lands on my desk. If you're a fan of Marc Jacobs Daisy perfume then you'll probably already be familiar with the fact a brand spanking new addition to the Daisy family has recently been born. World Duty Free have the exclusive, and gave me the opportunity to test it out before it launched elsewhere. Being a fan of the original Daisy (which features in this post here) I couldn't wait to try out the latest dreamy addition. Daisy Dream is everything I expected it to be and more. First of all - the bottle. As with all of the Marc Jacob's perfumes, it comes in a stunning bottle which is a talking piece all of its own. 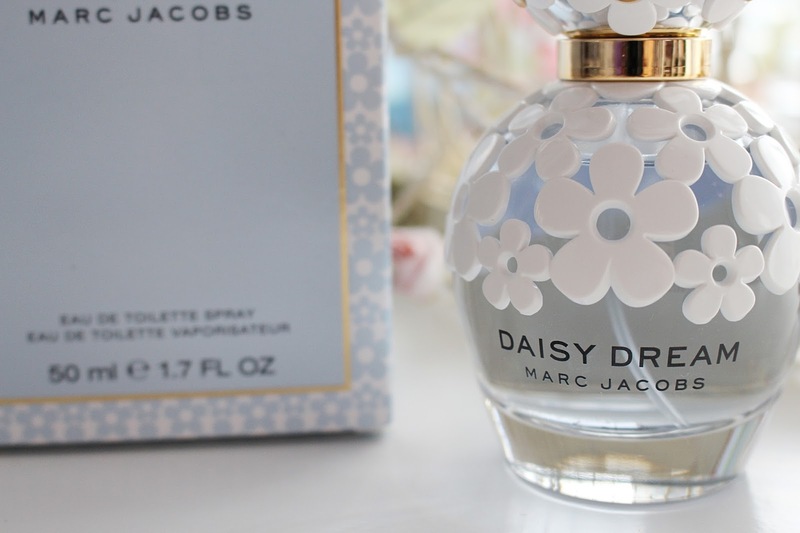 I actually think this design is my favourite of all the Daisy bottles. Encased with a multitude of white daisies, I love the shape and the gold detailing of the bottle, and much prefer it to the usual design (although I love that one too). It's definitely a classic design that will look simply stunning sitting on a pretty white dressing table. Of course, we all know that no matter how pretty a perfume looks, it's inside that counts. I had high hopes for this perfume, which makes sense considering how popular the other Daisy perfumes are. I wasn't disappointed. This perfume is absolutely divine and it optimises a dream-like scent perfectly. It is a gorgeous light mix of floral and fruit, with top notes of pear, fresh grapefruit and blackberry. The heart is filled with jasmine, blue wisteria and notes of lychee, whilst the base is made up of coconut water, white woods and musks. 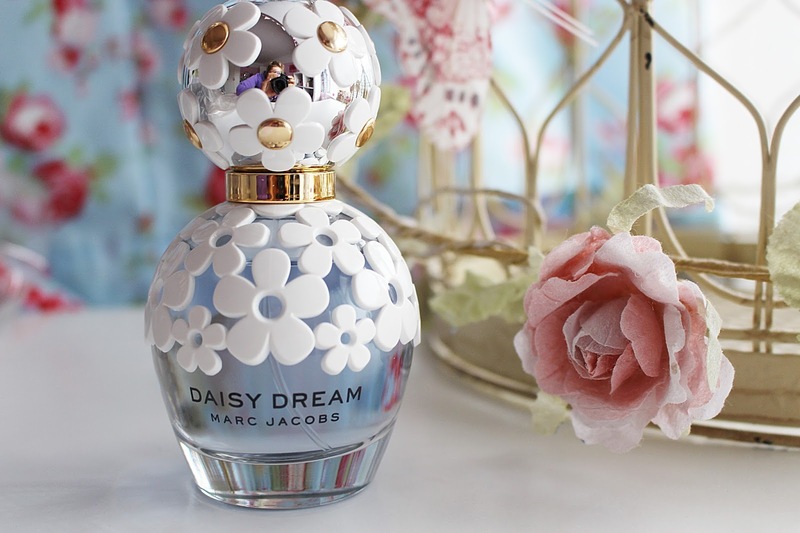 It is a floral perfume lovers dream and is definitely a must-have for any fans of the Daisy collection. Are you going to be getting your hands on this dreamy fragrance? It is such a beautiful scent for summer!